Knowing the tech to SHATTER SUPPRESSION has everything to do with your future. There’s only one think wrong with this universe — suppressives who specialize in caving people in. They walk among us undetected, hiding behind masks of social veneer. And they use those masks while they spread confusion and enturbulation. But there is a tech to shatter the façade and reveal, in vivid detail, the true face of suppression. And this tech is available in Scientology Academies around the world on the “How to Confront and Shatter Suppression PTS/SP Course”. When you do this course you will be impervious to suppression, forever. Considering you are on planet Earth, and considering suppression is the only thing that can stop you in any part of life, you need this tech so you can cause your future. GET THE TECH TO RECOGNIZE, CONFRONT and SHATTER SUPPRESSION. 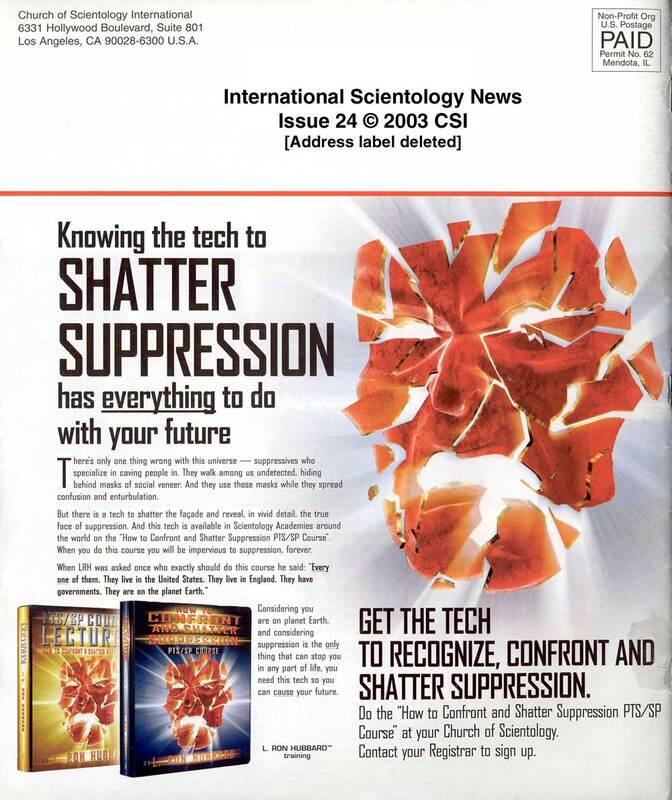 Do the “How to Confront and Shatter Suppression PTS/SP Course” at your Church of Scientology. Contact your Registrar to sign up.